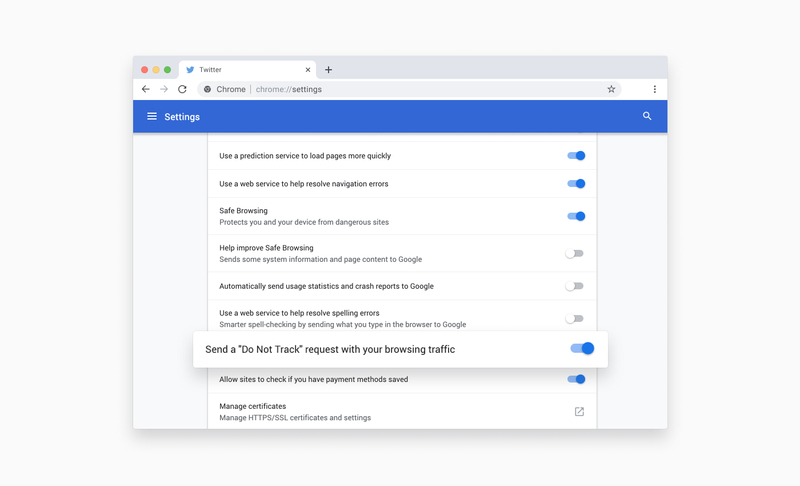 Most browsers have a “Do Not Track” (DNT) setting that sends “a special signal to websites, analytics companies, ad networks, plug in providers, and other web services you encounter while browsing, to stop tracking your activity.” Sounds good, right? Sadly, it’s not effective. That’s because this Do Not Track setting is only a voluntary signal sent to websites, which websites don’t have to respect 😧. There is simply a huge discrepancy between the name of the setting and what it actually does. It’s inherently misleading. 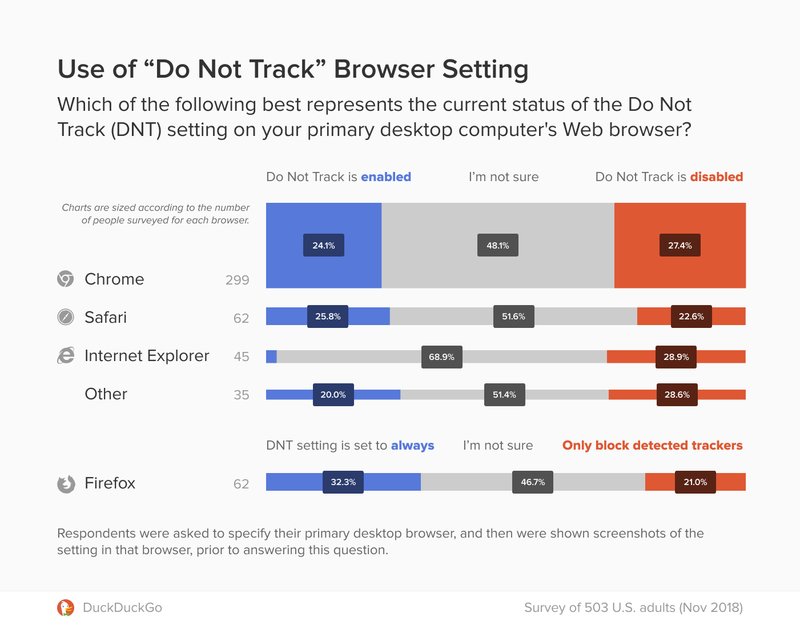 When educated about the true function and limitation of the DNT setting, 75.5% (±3.8) of U.S. adults say it’s “important” or “very important” that these companies “respect the Do Not Track signal when it is enabled.” So, in shocking news, when people say they don’t want to be tracked, they really don’t want to be tracked. 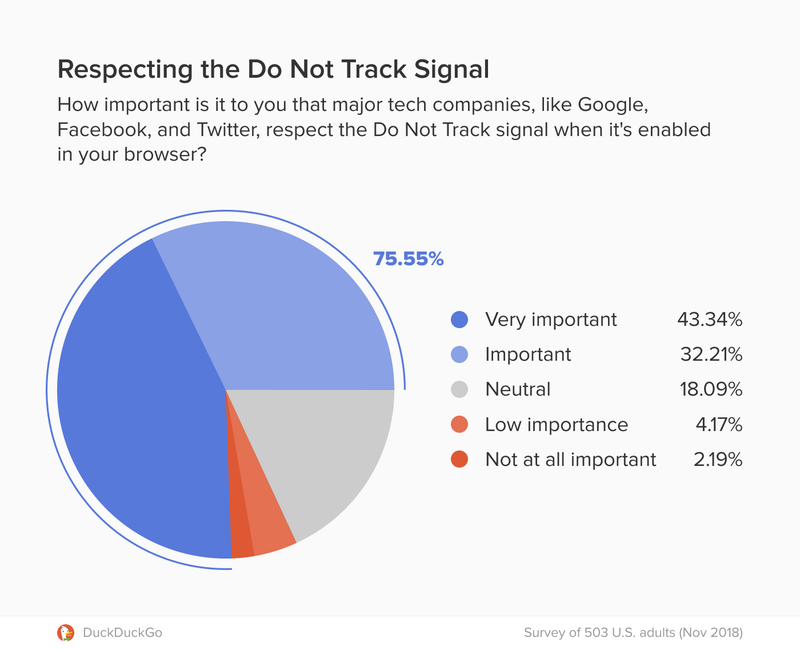 As a matter of fact, 71.9% (±3.9) of U.S. adults “somewhat favor” or “strongly favor” a federal regulation requiring companies to respect the Do Not Track signal. We agree and hope that governments will focus this year on efforts to enforce adherence to the Do Not Track setting when users enable it. As we’ve seen here and in our private browsing research, many people seek the most readily available (though often, unfortunately, ineffective) methods to protect their privacy.